This gorgeous organic cotton is from India, and supports the khadi industry. It’s a dark green, featuring smaller floral designs in black and red. 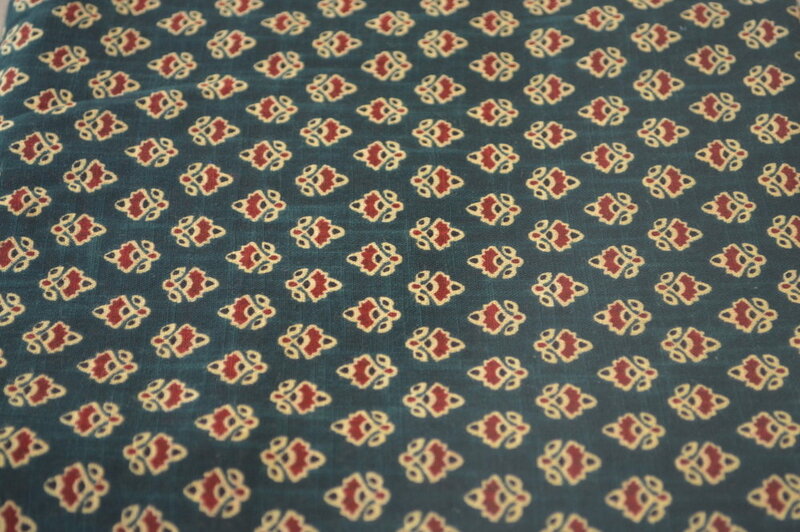 The design was block printed onto this organic cotton lawn fabric. I have 3m of this material, which is enough for all my tops, skirts and dresses.